Alex and Ian return in the sequel to The Bug Boys, back to the town of Rossolington after the collapse of the mine. The boys still have the nanobots inside them and retain the ability to take on the different aspects of live bugs they swallow. They are still working with the Secti to bring new insects back to the Nest planet, but the Secti are impatient and want a better selection of insects so they start to create their own portal outside the boys. Meanwhile, bugs start showing up from a forth portal that no one knew existed. Professor Blake Blackhart, has also ingested nanobots and tapped into their abilities, as well as improved upon them. Professor Blake however, does not have good intentions and becomes the book’s super villain to the boy’s superhero personas. Add into the story a new student Linda and her mom, the new PE teacher that takes an unhealthy interest in Alex and Ian and things get very interesting in the declining mining town of Rossolington. 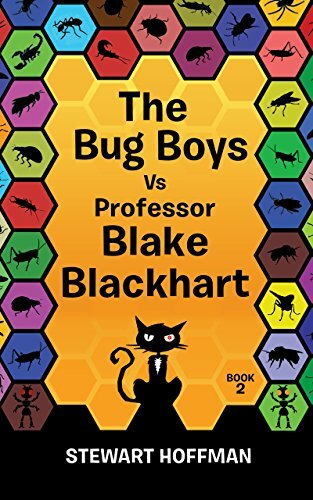 The Bug Boys vs Professor Blake Blackhart is an engaging and fun novel for young adult readers and adults alike. You have your classic good vs evil theme, and kids’ vs adults. A group of four kids taking on the super villain and his sidekick kitten. Yes, a kitten. A kitten that is also infected by nanobots and has been surgically altered to be a weapon. Hoffman uses humor that draws kids in, lots of detailed descriptions about farts, the noise, the smell, the way it makes them feel. All humor that appeals to typical young adult boys. Eating bugs, but needing to keep them alive, entertaining and gross. The awkward time of puberty where boys suddenly discover girls and those awkward moments are brought out in the interactions with Linda. 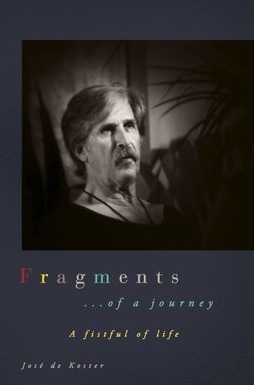 Hoffman also manages to address some serious topics through this adolescent humor. Alex has to come to terms with the fact his dad is not infallible. This realization, that his father has fears, is not perfect and can make poor choices is one that hits him hard. Alex must learn to accept his father and his short comings if he can. After almost losing his father in the mine to be dealt another blow is difficult. This is relatable to young readers as they are hitting the age where they might start seeing the childhood hearos for who they really are and realizing they are not the perfect examples of humans they originally thought them to be. These can be hard times for a young teen to experience, seeing characters in a book they like can help them come to terms with reality, and give them a laugh along the way. While Alex and Ian want to be superhero’s, they learn there is more to being a superhero than just putting on a costume and having super powers. They learn limits, asking for help, working as a team and reaching out to others when they realize they can’t do it all on their own. There are a lot of good lessons for young adults packed into this short novel. There is enough action to keep kids interested and wanting to read more. Hoffman even at the end gives readers a cryptic scene that leads us to believe we can expect more from the Bug Boys. Posted on October 13, 2017, in Book Reviews, Five Stars and tagged action, adventure, alien, amazon, amazon books, amazon ebook, author, book, book review, books, bug, children, ebook, ebooks, evil, fantasy, fantasy book review, fiction, fighting, fun, funny, goodreads, hero, humor, insect, kids, kindle, kindle book, kindle ebook, literature, mystery, novel, oxford, parent, pe, planet, professor, publishing, reading, review, reviews, sci fi, science ficiton, science fiction, science fiction book review, space, stories, super hero, teacher, teen, teen fantasy, teen fiction, the bug boys vs professor blake blackhart, thriller, urban fantasy, writing, YA, young adult. Bookmark the permalink. 2 Comments.